The Congressional Budget Office (CBO) today released a new assessment of H.R. 1628, American Health Care Act of 2017 (AHCA), as passed by the U.S. House of Representatives on May 4, 2017. CBO estimates that the revised version would reduce federal deficits by $119 billion over 10 years, down from $150 billion in the March 24th report and $337 billion in the March 13th report. CBO estimates that in 2018, 14 million more people would be uninsured under the AHCA than under current law, and 23 million more people would be uninsured by 2026 compared to current law. In the March 24th report, CBO predicted that 24 million more Americans would be uninsured by 2026. 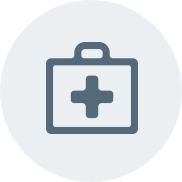 Access the Health Reform 2.0 Resource Center for additional information related to the American Health Care Act and other health care reform updates. Join the Health Reform 2.0 Update listserv to have updates delivered directly to you inbox.